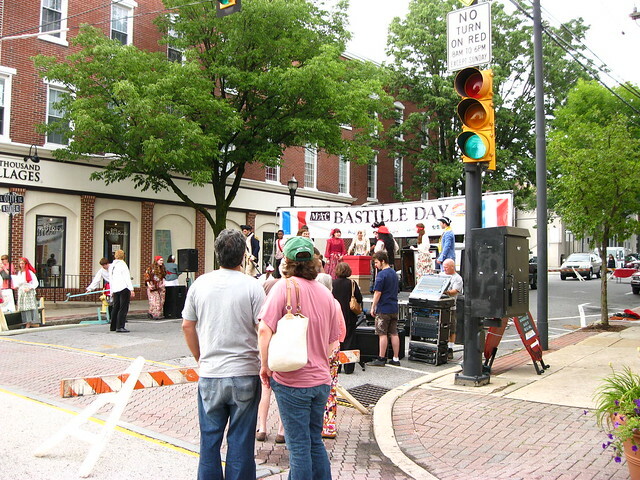 This past Saturday, July 14, 2012, the Penn State Brandywine Fair Trade TrailBlazers were excited to join the town of Media in its Bastille Day celebrations. The whole of State Street closed down so that booths could set up and restaurants could set out extra seating. The event kicked off at around 6:30 in the evening with an awards ceremony and a reenactment of the storming of the Bastille. 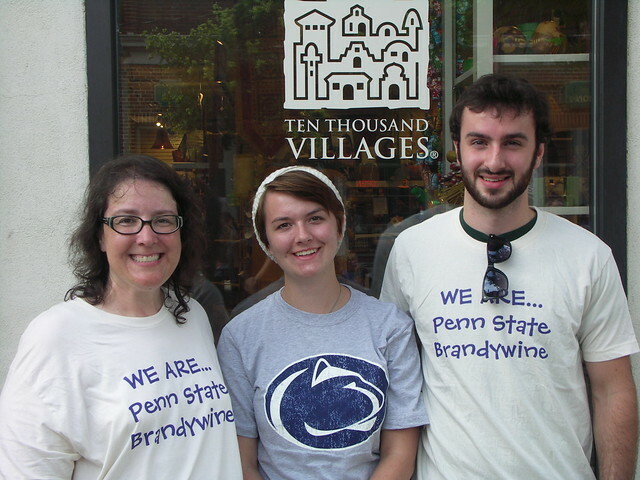 Media presented Penn State Brandywine with a Regional Fair Trade award, and we were honored to accept the award! We also congratulate the other Fair Trade award winners on an awesome job and well done! We also participated in Ten Thousand Villages in Media’s Fair Trade cooking competition, “Knock Their Block Off,” submitting my famous Fair Trade Vanilla Vegan Chai Cupcakes! Four other contestants entered the competition. 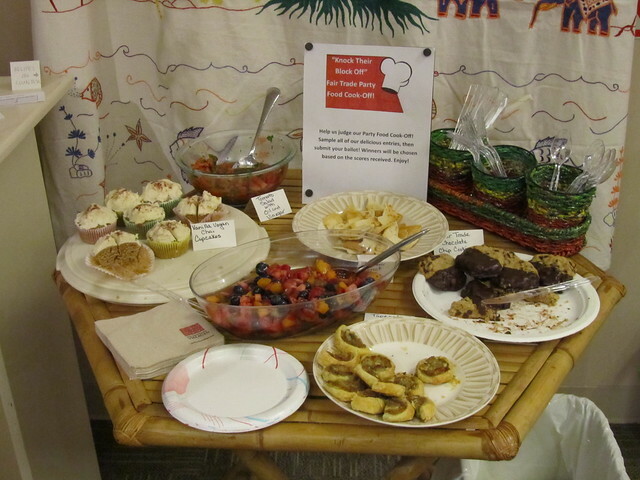 Take a look at all of the yummy entries! Below, you will find some other photos from the event. 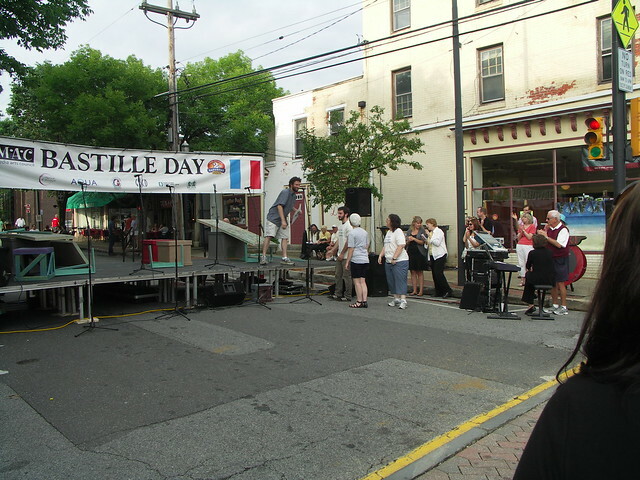 Above are Bastille Day actors setting up the main stage at the intersection of State and Olive Streets in Media. Here we are, Dr. Laura Guertin, Sarah DeMartino, and Louis Donaghue accepting the regional award from Media! And here are all of us after the award! Here was something cool we saw! 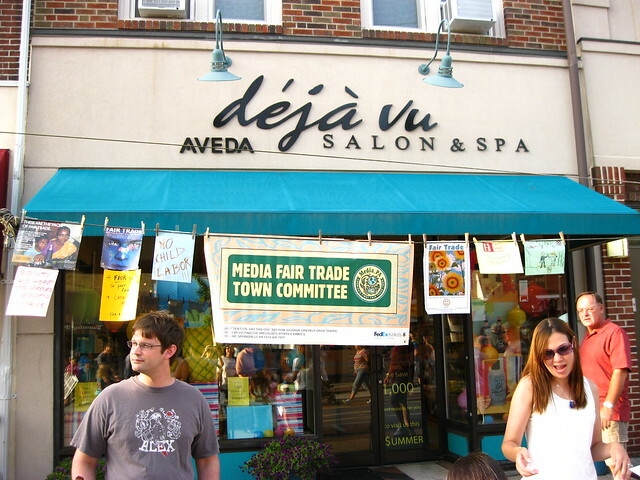 At the Fair Trade (run by Media’s Fair Trade Town Committee) information desk, there was a clothesline with Fair Trade messages hung on it. People could come up and write or draw what Fair Trade meant to them! All in all, we had a wonderfully fun time in Media and can’t wait for their next event! For more images of Media’s Bastille day, check out our Flickr page!